Some stories are filled with sadness. It becomes the core of the story and cloaks all else in the darkness that comes with that sadness. The question of how one deals with loss, despair, and in the end, the sense that nothing is worth anything any longer is a difficult story to tell. Love, it is said, exists long after life itself. We remember those that we have loved and lost and in that remembering we can either gain from the strength or lose from the anguish that it holds. She is a lilin; a succubus. The firstborn of three. For now she must be content with roaming the earth and stealing away souls. But over the years, her conscience has grown in weight during the passage of time and the centuries of dead bodies strewn behind her as she has fed, sometimes without mercy. Now she seeks to put her own soul to rest and ease the burdens of her life. But after a visit from a vampyr, long thought to have been extinguished from the world, she soon finds that being a succubus may very well get her killed. And the thought of death is most becoming to her. But she will die on her own terms. 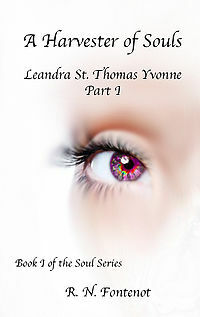 Leandra is a succubus who’s past is filled with loss. The love she had was taken from her, the loss gutting her deeply and now she is but a shadow. She is a quiet terror in the world that takes and leaves nothing but death and loss in her footsteps. And now someone is walking those footsteps intent on ending her and her kind. The story is told from Leandra’s perspective and, as a whole, save for the moments she remembers the one she loved, it is ever so sad that all she seems to be, even in her best moments, is a horror wrapped in an illusion. 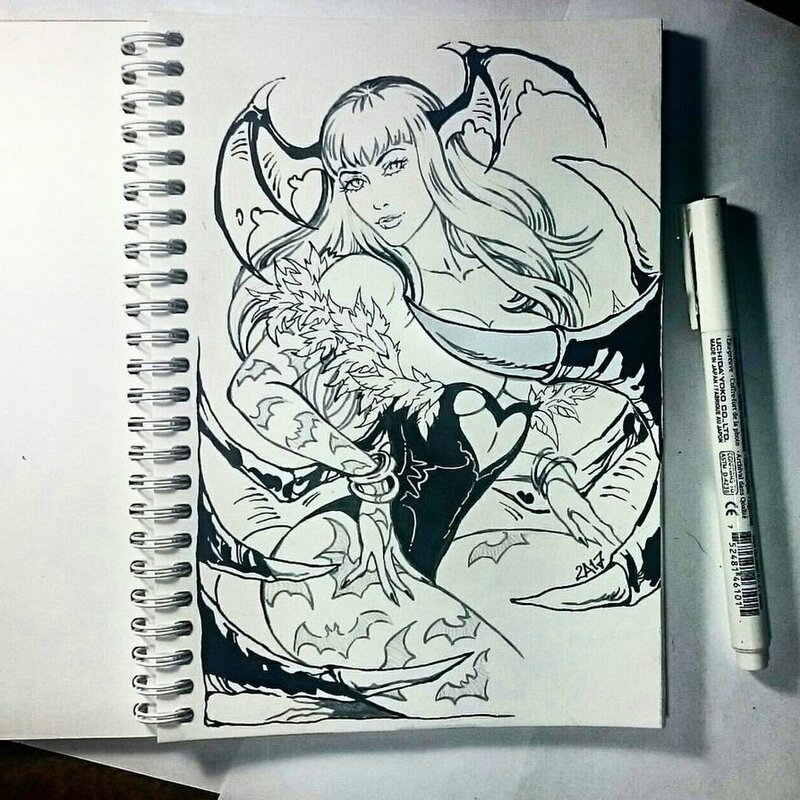 She is the image of the Succubus that dooms all around her in order to keep herself alive. The same can be said about her sisters Nystirra and Miranis who are twisted mirrors of Leandra herself in many ways. The three of them are Lilin, the last three of their kind, birthed from Lilith their mother. Lilith is spoken of, but not seen in this work, but Leandra’s two sisters are and in some ways they are stereotypically “evil” but in others they are something more than that, though trying to see that through Leandra’s eyes it is difficult to see what that is exactly. The story is not erotica, save for some passing moments when Leandra brings that which the ones she must draw from to survive their fantasy. It reads as more of a mystery/adventure story as the work unfolds and events conspire to force Leandra into a choice that she has no choice in. I found it difficult to like Leandra at many points in the story, though it is clear that what she does is a matter of survival, that survival becoming more and more difficult as the story progresses. There’s some interesting connections to past history which made a good deal of sense and fitted in with what Leandra needed to survive. The work ends on a cliff hanger, obviously leading towards the next work in the series, but regretfully that work never appeared. It’s a shame because there are many questions that are asked not just by the reader, but also Leandra herself. Questions of why her love was killed, what made it happen, why she is being followed, and why it is that now she must trust someone that she should not. Then the questions about Lilith, Leandra’s sisters, and Leandra herself come into play. There is a lot of universe building in this work that I thought worked really well, but we never see the result of that and that’s the larger shame. But the one thing in this work that muted my enjoyment was the overwhelming sadness, loss, and pain that Leandra suffers throughout the work. I found it hard to keep reading when there was no joy, no hope, no glimmer of some little bit of light to be seen. Part of that is the time where this story is set, it was not, by far, the best of times… But did it need to be the worst? I’m not quite sure about that point honestly. This seems to be another good example of why an author needs to be prepared to follow through on a story series before selling the first bit. I really appreciate this story, if only because solid tragedies are pretty rare in succubus lit.